Magic cream memories came back to me when I recently heard and discovered Lily's Touch Miracle Cream. My mother is a fan of magic creams that was originally produced in the Middle East. 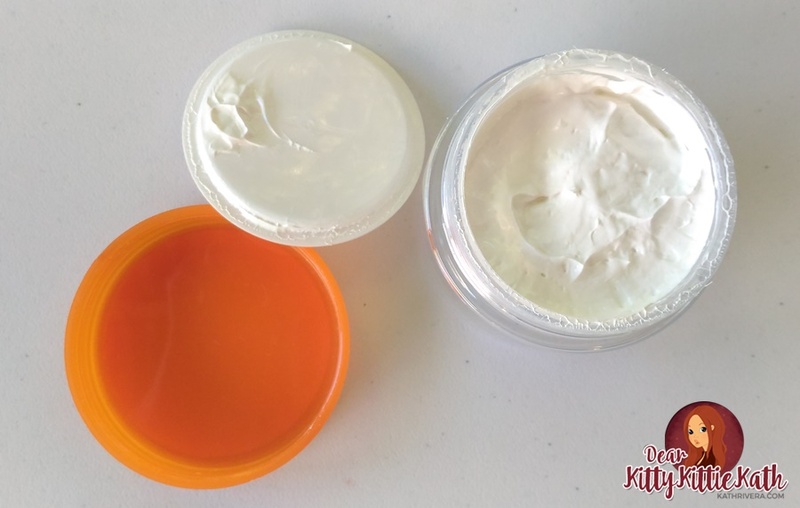 Those creams are moisturizers that claims to have a lot of skin care benefits, can be used as makeup base, and in the long run it will make the skin soft, smooth, and youthful. My mother was fond of magic creams before but magic creams lost their magic when other skin care products became a hit like bb and cc creams. Fast forward today, a new magic cream was selling like hot cakes in the name of Lily's Touch Miracle Cream. It's not magic now but a miracle cream that promises benefits not only for face and neck but for other parts of body as well. I'm sure you are excited to read my review. Scroll down to see why despite I have a love-hate relationship with this product, I will still recommend this if you're in search of a multi-function product that can act as moisturizer and makeup base in one. For this review, I will just list down what I've experienced from using Lily's Touch Miracle Cream for three weeks. The benefits of using this cream doesn't mean that you will experience it all. Since we have different skin types, I may or may not experience what you will or will not experience once or while you use this product. instructions for use: Apply as a moisturizer twice a day. Can be used as a makeup base too. It has a thick texture and consistency but I find it easy to apply using the dot-dot then spread application. I only use a pea-size amount on my face. For me, it's reasonably priced for a little amount of the product goes a long way. I think a tub can last more than a month if used on face and neck twice a day. It has a thick texture and consistency but I find it easy to apply using the dot-dot then spread application. I only get a pea-size amount of the product and it's enough for my entire face. I love the sweet melon-like scent of this all-in-one cream. My skin feels soft and smooth to touch after application. There's an instant white effect. I've noticed a slight change in the color of my pimple mark after two weeks of religiously applying it day and night. I can see that my face has a glowing effect after using it for a week. I've used this on my face as a moisturizer. Since it has a matte finish, I also use this as a makeup base. It's multi-function. See the benefits above. It has a good amount of SPF- 40 to be exact. There's a micro peeling effect on my face after using it for two weeks. It's in a jar/tub that doesn't come with a spatula. I find it unhygienic to dip my fingers every time I use the product. No batch, manufacturing and expiry date printed on it. Not easily accessible, you have to buy it online. Can cause white cast on photos. Haven't seen any anti-aging effect while using this product for three weeks. I've noticed that some areas of my face became dry and flaky after a week of using this miracle cream. Will I repurchase? Not yet because I still have a lot of remaining product in my 50 ml tub. I give this a 4/5 rating. Even though I have a love-hate relationship with Lily's Touch Miracle Cream, I will still say that it's a good moisturizer and a makeup base. 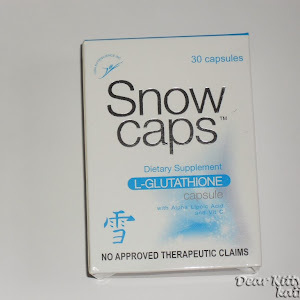 It also contains natural active ingredients that are proven effective for some individuals. 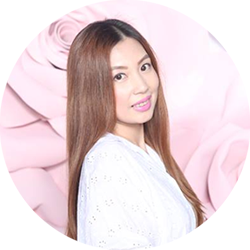 Vitamin E, Emu Oil, and Sunflower Oil have been proven to treat different skin problems that's why I will still recommend it if you're looking for a product to address your skin problems and concerns. But there are individuals who breakout if they apply a cream or a product that has Vitamin E content on the ingredients. I've also heard my sister that she got pimples while using Sunflower Oil. Even though it has SPF40, it is still best to apply sunblock or sunscreen especially if you will stay long under the sun. Like what I always tell you, our skin may react differently to skin care products so what works for me may not work for you or vice versa. DISCLAIMER: This product was sent to me by Cheska's Online Store for review. The views expressed here are my honest opinion about the product. What works for me may not work for you or vice versa. My review is based on my experience during the time and period I'm using it. This is a nice cream. With continued use, it promises to remove dark marks. gusto ko to itry, nakakaputi ba sya? Pano ung effect nya as whitening ung tipong magbakbak ang mukah mo and after nun para photoshop na sobra kinis? Actually the whitening effect depend on your skin type. Sakin kasi after 1 week may micro-peeling. Pero hindi naman pumuti as in maputing-maputi ang face ko. Hindi rin sobrang kinis kasi hindi naman nya naalis ang freckles ko which is hindi na din talaga maaalis according to my derma. Not photoshop kinis in my experience. im currently using porcelana astringent and liquid lotion, is it okay na gamitin ko sya as night cream? baka kasi hindi hiyang yung dalawa. I have not tried yung porcelana products so hindi ko masabi kung okay ba pagsabayin yung mga products everyday. how about yung rejuvenating set? ok lang ba na after nung toner ito ang iapply ko as sub nung sunblock cream spf30? Thank you for sharing your experience. Hope those who want to try this will have the same results like yours. 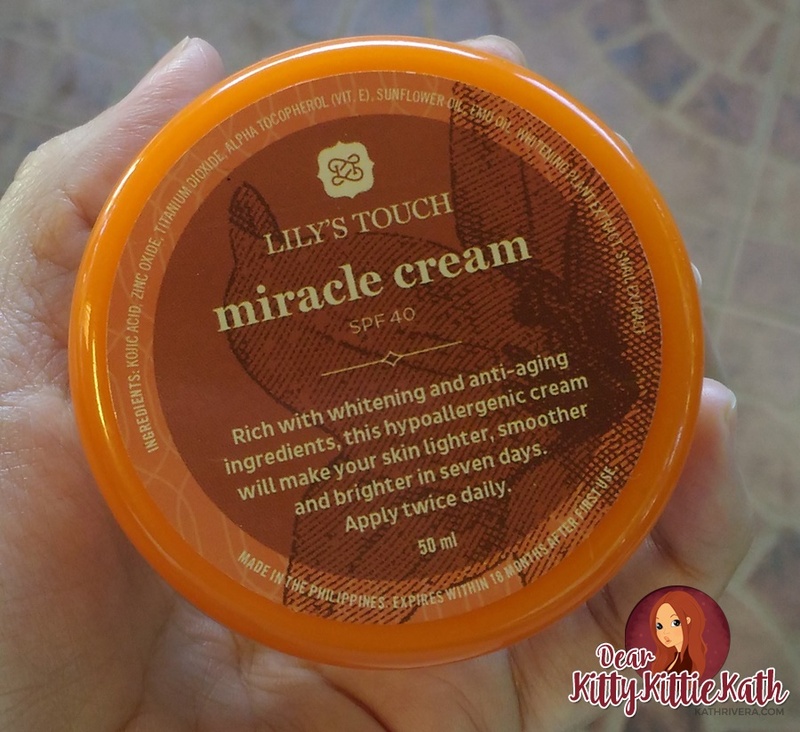 I've been doing a lot of research about Lily's Touch Miracle Cream and your review made me decide to go and try it. I've been using the cream for a week now as a face/neck moisturizer, make up base and to help lighten my acne marks on my back. My friends are dying to try this product too. I hope you don't mind if I share your product review with my friends. Thank you. Looking at the ingredients, mostly whitening kasi. Most of the OB's will prefer na avoid yung mga whitening products. It's better safe than sorry. If you'll ask me, I will not advise for now. Glad to hear that. Thanks for sharing your experience. effective po ba itong pang tanggal sa white spots? Not sure on the white spots. Milia ba yung tinutukoy mo? If yes, hindi nakaalis sa akin. Wala naman nasabi kung bawal sa pregnanat pero advise ko wag na lang muna kasi mas okay na simple lang ang skin care regimen sa buntis para in case na magka-allergy, hindi mahirap gamutin. Pwede po na hindi ka hiyang. Hiyangan din kasi ang products. May ibang face na pag gumamit ng whitening creams naglalabasan ang pimples, sabi nila 'purging stage' kung 1-2 weeks okay lang pero pag umabot na ng 1 month, dapat na itigil. Hello po. Effective po ba yun miracle cream and soap sa pampapaputi sa face and body? 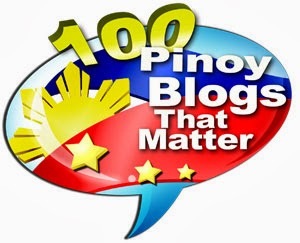 Gusto ko ton itry, andto ako sa qatar my ng bebenta dn dto online.. Gusto k lng malaman kung nkakakinis and puti b to tlga. Wla nmn ako pimples at dark spots pro gusto k lng kuminis at pumuti yun mukha k.. Fair complexion lng nmn ako. Thank you and Godbless!! Ano pong miracle cream and soap? 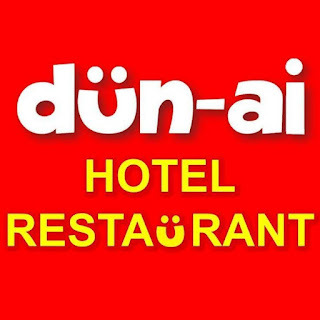 Anong brand yun? Hindi ko pa nagamit yung mga products na yan kaya hindi ako makakabigay ng advise. Kung makinis na ang mukha mo tapos maging hiyang ka dito, lalo yan kikinis. I've used this product for almost 2 weeks. May pagbabalat nga siya. I like this cream nakaka glow at puti pag inapply. But i don't know kung san galing ung mga parang pantal or butlig idk kung sa cream ba. Kapag mainit minsan kumakati. I'm glad that you like this cream. Pwedeng sa iba nangaling yung pantal or butlig, since sabi mo pag mainit kumakati. It can be prickly heat or rashes na dahilan ng pabago-bagong weather. I've only tried the cream so I don't have comments on the set. Hiyangan din kasi talaga ang mga whitening creams. Since you have pimples, better yet treat it first with other creams na para talaga pang-alis ng pimples. Ang hirap kasi ma-pinpoint if ever nag-try ka nito tapos dumami naman pimples mo pero pumuti yung face mo. Hope you get what I'm saying here. Saka hindi mo talaga malalaman kung effective yung product sayo kung hindi mo susubukan, Trial and error talaga. Pwede kasi na sakin effective, sayo hindi or vice versa. hello matatanggal din puba yung old scar?? This is for discoloration and blemishes lang po. No assurance sa old scar lalo na kung malalim. 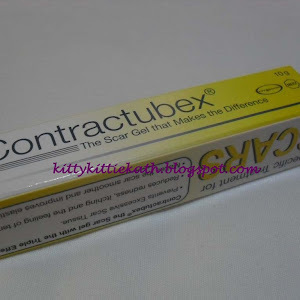 Meron po mga ointment for scars talaga. effective poba sya kahit sA OILY SKIN? I have combination skin okay naman sakin. Gaano ka oily po? 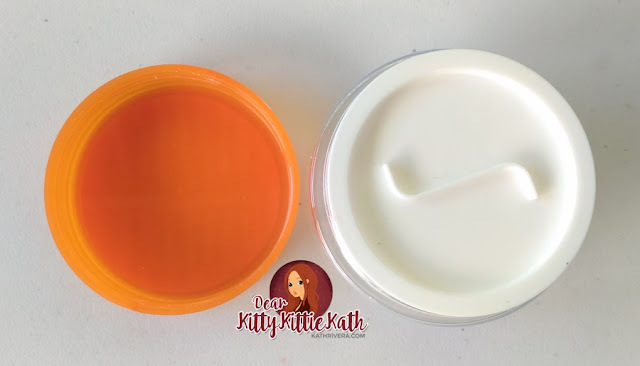 Medyo thick kasi ang consistency nito, kung hindi sanay sa ganung klase ng cream yung skin baka magreact sa first use. Good job on this product for drying your pimples and for the lightening effect. Thank you for sharing your experience here. Hi, Ive been using miracle cream since I was pregnant last year. I got dry skin too when I applied it after washing my face. The secret is to apply moisturizer first before applying the cream. Since then on Ive been doing that and my skin improved a lot. My friends have been complimenting my smooth face. I also like the dewy effect that it gives after applying it. Thank you so much for sharing your experience. I'm glad na hiyang ka sa product. Would let my cousin to do that technique too. Gusto ko sana try to while im pregnant.may i ask po if its really safe.sabi kc bawal gumamit ng kojic soap etc and this product contain a kojic. Before i already use this and its really effective thats why i still want to use kaht buntis ako. Can i use this on my body or its just on face? This one can be used on the face only. In my experience, I used it on my face and never tried using it on insect bites or other pigmentation on my body. I was looking for reviews about Lilly's miracle cream, buti nlng nbasa ko tong blog mo. Thank you sis! I am using BeauPlus radiance set and malapit na ako mag 1month, (sb nung seller a month lng dw to then after this maintenance set na) I would like to give this a try kc. Haay, i just wish na mahiyang din to sa skin ko, mdm pa dn kc akong pimple marks and breakouts na hindi pa din natatanggal nun radiance set. Since I don't know BeauPlus, hindi kita mabibigyan ng advice. Hope maging effective sa'yo and Lily's Touch or just stick to the set kung mahihiyang ka dun. Kindly update us after two weeks ha. Hope maging effective sa'yo yung cream :) Thanks for sharing with us your experience. I've been using this product for a month. At first, it was really too white for my skin but then I noticed na pakonti konti nlang ang inalagay ko hanggang parang base nlng sya for loose powder..I am also using the soap and recent maris are fading..Pero madaling matunaw.. Three bars for 1 month but I like it. In my sister's case, Hindi sya hiyang and nagkabreakout pa sya. Thank you so much for sharing your experience. 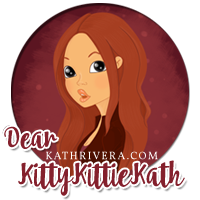 However, I cannot comment on the soap kasi hindi ko pa na-try but I'm glad that the products worked for you. Hiyangan din kasi talaga. For your eczema marks, it will take time. You need this cream and other whitening products kasi malaking part yung body. I've been using this for more than 2 weeks and Yes, it dried out my pimples. But I'm hoping that it'll also remove the scars. I'm glad it dried out your pimples, but for marks I think it will take more than a month especially if the scar is deep. This will only lighten the marks though. As far as I know it has 40 spf. Not sure with other containers or if they repackage it. Hi. I'm planning on using this product mainly for my hyperpigmentation (discoloration on my skin), dark spots, acne marks/scars and blemishes and maybe dark circles and I wanna even out my skin but I don't wanna whiten my face just because I'm morena and I don't wanna be one of those girls na maputi yung mukha compared sa body nila. I'd appreciate your opinion. Since you're going to apply this on your face, as in whole face kasi so expect na it will lighten all the areas were you applied it. Yan din ang concern ko, so I guess do the spot treatment na lang though hindi ko pa na-try yun. Like apply a small amount sa dark areas twice a day. gumamit ako ng skin mate shark oil pwede bang gamitin ang magic cream pagkatapos mg peel off.. Since hindi pa po ako naka-try ng skin matte shark oil, hindi ko po masasagot ang tanong ninyo. Pasensya na po kasi maghirap mag advise ng wala naman ako experience sa product. Thank you so much for sharing this. I don't have an idea kasi regarding the new formulation. 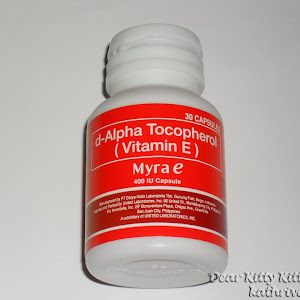 This review is based po sa product na na receive ko and the formulation it has. I recently bought one from an online seller. I was quite surprised because it smelled nice compared to other miracle creams. I didn't like how it made my face so white upon application like i had plaster of paris on my face hahaha. I will continue using it though and hopefully would see results soon. Yes this one smells nice nga. Yung white effect naman nawawala basta sakto lang yung nilagay mo sa face. Pag madami talagang obvious yung pagka white. I think we have different reactions while using the product. Not all gets a peeling effect on their face. Kindly ask your reseller regarding the expiry date. Kindly email the seller or reseller regarding your concerns. Thank you! Effective po ba tong pampawhiten ng underarms? Hindi ko sya na-try sa underarm kaya hindi ko masasagot tanong mo. Yes, normal yun itching. But I'm not sure if this will work agad sa freckles unless mababaw lang and hindi ganun ka dark. Hope this will work for you. sobrang effective nya,lalo kapag ginamit pa yung isang set with soap and toner.use it 2x a day morning and before bed time. Thank you so much for sharing your experience. Glad it worked for you. Been using dis for a week may peeling nga sya.pero matatangal dn po b sya eventually? Yes, pagtagal-tagal mawawala din yung peeling nya. Pag naalis na lahat ng dead skin cells. hello po.. di ko pa po natry yung miracle cream. 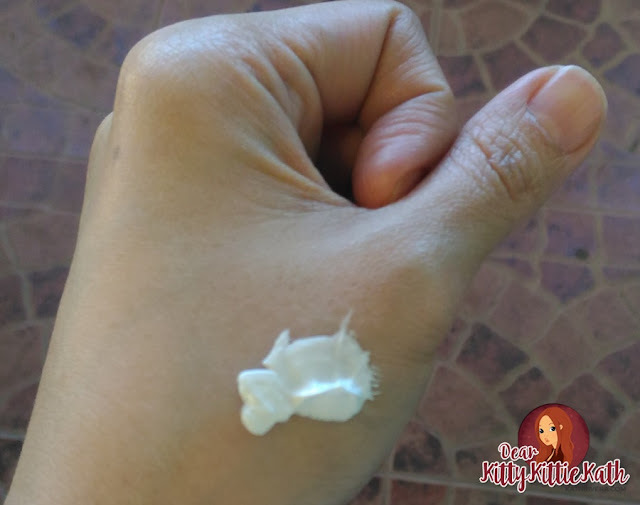 ask ko lang po, sobra po kasing mag oil and face ko..kahit kakalagay ko lang ng powder after a few minutes lang NAGMAMANTIKA nanaman.. :( wala naman po akong enough budget for derma..kaya po nagsesearch ako ng mga ganitong product.. since cream po ito maam pupwede po kaya to sa kin? matanggal po kaya ang pagiging oily ng face ko?.. Dapat po sa oily skin is gel based products. Pag cream may tendency mag-oil lalo na kung concentrated. Yung paglalabas ng pimples is pwedeng purging effect. If malalim ang scar I'm not sure na mawawala yun with this. Pwede na mag-lighten lang ang color. Hindi ko kasi na-try itong product na to sa scar kaya hindi ko masagot ng 100% yung question mo. Pasensya na po. Yes, with continued use and gradual ang effect nya in terms of lightening. Iba-iba din kasi yung degree ng spots, pag sobrang itim matagal talaga paputiin. Tiis lang po. Hi, ngorder kmi ng friends ko this cream with the diamond polish and snail serum..i have super oily skin and daming pimples. So im just gonna try it pag dumating this week..hope these will work..
Hope nag-work sayo yung product. Let us know your experience. Good luck and thank you! Thanks for sharing and good luck! If more than a week na stop mo muna. Pwede kasing purging stage yan but if mas worse yung effect nya pwede po na hindi ka hiyang sa product. Hindi ko po na-try sa underarms kaya po hindi ko masasagot tanong mo. Pasensya na po. Sa experience ko kasi after 5 days may konting peeling na kaya lang hindi visible masyado. It depends din kasi sa skin mo if mabilis mag peel sa mga ganitong products. Best if after na lang ng sagala mo mag try ka ng bagong product. Hi Sis!i just got my first cream and soap yesterday.can i still use my ponds toner before applying the cream? Kindly advise.im using the ponds set for years na.i just want yo try this product since me mga freckles nako.thanks! Yes, you can use this naman. Same regimen, ito lang apply mo after the toner. Yes, pwede as night cream lang. No need for a moisturizer. Eto na yung mismong cream mo for night time. I have one with the sunscreen and with expiration, manufacturing date and batch number. I got it as a freebie upon purchasing in shopee. I tried it last night since I have pimples and dark spots. Lately kasi, actually, since 2014, I started having acnes. :( But before that, as in wala naman kahit nag kakaroon pa ako ng period. So hindi ko problema ang pimples. Sa unang gamit, napadami ang lagay ko sa cheeks buti nalang it's evening kaya walang problema. Pero kanina dito sa office ako nag lagay kaya, pea-size lang din ang nilagay ko. Nakatulong din siguro yong kojic kasi nag dry agad yong pimples ko na malaki sa cheeks. I use Snail White as soap, Secret Key Toner Witch Hazel then Miracle Cream. Yes, meron peeling effect yung Lily's Touch. Thanks for sharing your skin care regimen. Hope this product will work for you. Good luck! Stop it muna then resume after a week. If ganun pa din means hindi ka po hiyang sa product. Thanks! Hi ! Sana mahiyang po sya sa because im already using dr. Alvins rejuv. 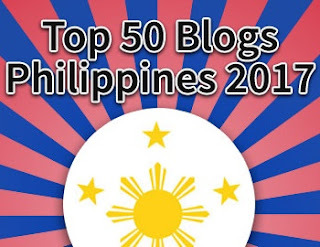 So sana walang masamng effect :( tha ks sa blog mo sis. Thank you also and good luck! Do you send item abroad? Hope to hear from you.. I don't sell this product. 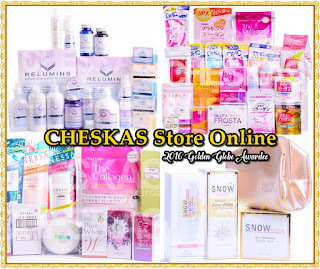 Kindly check na lang po sa cheskasstore.net Thanks! Wow! Glad that you positive and results ng mga products nila sayo. Never heard that they have cheek tint na din. Thank you so much for sharing your experience. Hello po.First time ko po gumamit tonight.Naka avail ako ng Lilys miracle cream sunscreen at Pekas remover infinity sa Lilys shop.Sabe po kase best seller nila ang Pekas Remover because im looking for a product na matatanggal ang Melasma ko eto po nirekomend sakin.Ang tanong ko po pwed ko po ba sila pagsabayin gamitin i apply ang Lilys miracle cream sunscreen at ang Pekas Remover(infinity)?hinde po ba masisira ang face ko kung sabay ko sila gagamitin sa face ko? Thank you so much for sharing your Lily's Touch haul pero hindi ko po masasagot ang tanong mo kasi hindi ko pa po na-try yung mga products na yan. Pasensya na po. Hello again nakabili po ako ng lilys Miracle Soap pwed ba ito sa buong katawan at mukha? Hindi ko pa po kasi na-try din yung soap and hindi pa ko nakakita kaya hindi ko din masasagot yung question mo. Hello po. My friend recommended me this cream so I just bought po kanina. Thank God I saw your blog! Pero I have question, before kasi gumagamit tlga ako ng petroleum jelly on my face everynight para smooth in the morning. Pag gagamit ba ako ng cream nato at night, I should stop using petroleum jelly na since this cream is also a moisturizer or.... pwede naman both pa din? Yes, I recommend na stop using petroleum jelly muna kasi thick din ang formulation ng cream. Baka magkaron ng reaction sa skin mo. Mas okay na isa-isa lang muna gamit ng products para if ever magkaroon ng negative reaction, mapin-point mo agad anong product yung nag-cause. Hello, pwede bng cream lng gamitin ? khit hndi n ung soap and toner? Since hindi ko pa na-try yung soap and toner, hindi ko masasagot yung tanong mo. Pero in my case, yung cream lang naman ginamit ko and okay naman. Hi. I have been using Lily's touch for almost a month. Few weeks after, I just had my whitemarks removed from a facial cleaning procedure. Now, meron ulit ako whiteheads so ask ko lang if Lily's touch miracle cream could be the cause of whiteheads? Nakakaclog sya ng pores? During the time I'm using this I did not experience those. That's why I have nothing to say on whiteheads. But if this is the only product you are using and you see white heads, it's possible that this is the culprit. There's no indication na it's non-comedogenic, so I guess for some individuals this may happen. Hi po, ask ko lang safe po ba bumili ng lily’s touch na product sa lazada? Umorder po kasi ako, kinakabahan lang po ako baka kasi mamaya fake hehe. Yung smell nya parang melon tas matamis po, right? and yung color ng cream hm diko sya masyado madescribe pero hindi sya white na white talaga. ganun po ba? sobrang kinakabahan lang po talaga ako haha. I cannot vouch for LAZADA items kasi I've read na minsan nakakalusot yung mga fake items sa kanila. Anyhoo, if the smell is like melon and white na white, it's an indication naman na authentic sya. Can you verify the seller on Lazada? If it's from cheskasstore.net, I can vouch for it na authentic yan. Thanks for sharing your first impressions. Hope it will give you positive results after one week. Hi po gumamit po ako ng miracle set. Mag 4 days na sya pero parang may mga butlig butlig na maliliit bilog na maliliit pero okay naman sya sa face ganun ba talaga yun? Hindi ko kasi nagamit yung miracle set kaya I don't know what causes the butlig butlig on your face. Yung mismong miracle cream lang yung na review ko.